As a young teen, Jerry Shulman worked for his father, selling produce in the Newark, NJ market. Jerry enlisted in the Air Force, serving his country in WW II. After surviving his plane being shot down in enemy territory, he returned to the states. Jerry got an Agricultural Degree from Rutgers University, got married and moved to Long Island in 1948. Jerry started selling fertilizer, seed potatoes and farm supplies to the farmers on the East End of Long Island. By the early 1960s Jerry decided to venture out on his own, selling produce over the phone on his front porch at his Long Island home. Jerry's daughter, Diane Shulman, once quipped, "Despite child labor laws, all of us Shulman children were forced to work in the business." 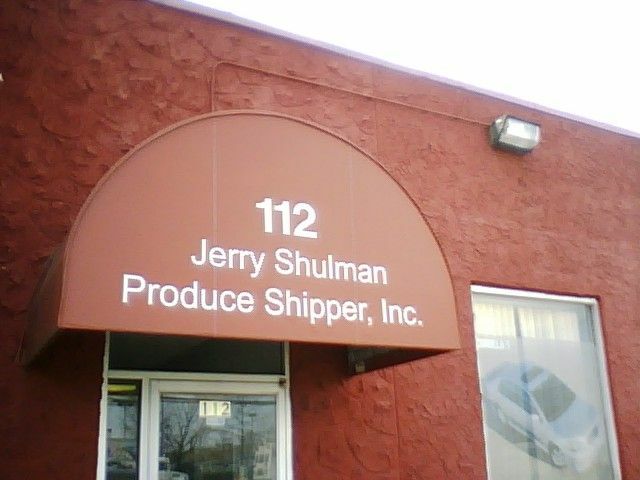 In 1974 Jerry incorporated, hired additional employees and ultimately started packing potatoes to service the Long Island farmers. The business continued to thrive, selling a variety of vegetables from Long Island, upstate New York, Canada and all major shipping areas of the U.S.
With a Business Degree from Duke University and five years of experience working on Wall Street, Jerry's daughter Diane joined Jerry Shulman Produce in 1988 to continue the family ownership of the business. Diane continues to maintain the Jerry Shulman Produce Shipper, Inc. standard of excellence, expanding the items offered to carrots imported from Israel. Our team of salespeople includes Bob Monzeglio, Joan Brand and Michael Brewington. Shulman is a key supplier of Long Island potatoes to quality receivers in both the New York area as well as the southeastern states of the U.S., shipping as far south as Miami, Florida. As a Long Island distributor, our vegetables are sold to wholesalers, food processors, supermarkets and retail outlets. We even sell our potatoes to the only Long Island Vodka processor, LI Spirits, a gluten free product made from fresh Long Island potatoes. Don't forget to check out our Farm to School Initiative page to learn about our schools program. Three generations of the Shulman family represent 80 years in the produce industry in the New York metropolitan area. That kind of longevity comes from a strong commitment to treating all our clients with respect, honesty and excellent service. You don’t have to dig deep to know that strong relationships are crucial to the vitality of a healthy business. The combination of honesty and integrity with all our customers and vendors has earned us the lasting ties we’ve cultivated with many growers. We have growers in all major growing areas of the US and Canada. Products ship year round including potatoes, spinach, cabbage, onions, spring mix and carrots. Seasonal produce from Long Island and Canada round out the list of farm-fresh vegetables offered by Shulman to maintain quality produce and priority service year round. We own and operate a potato packing facility in Cutchogue, Long Island. We are the only independent potato packer on Long Island. AND we are the only potato packing facility on Long Island with GAP and GHP certification from the US Dept. of Agriculture!